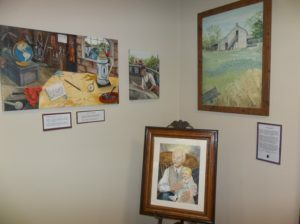 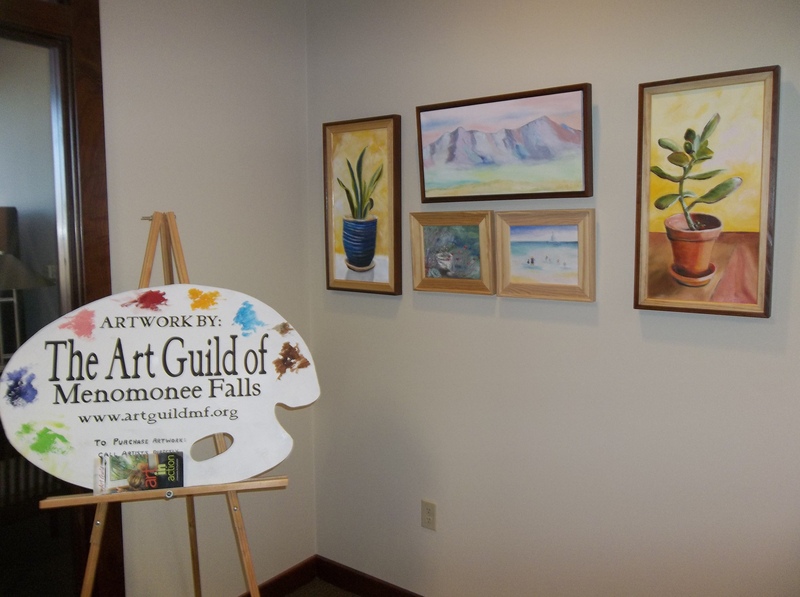 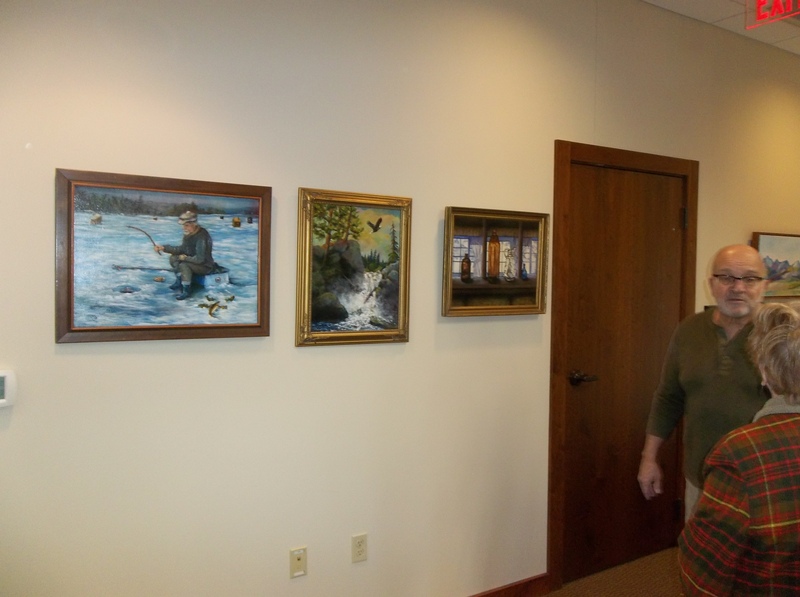 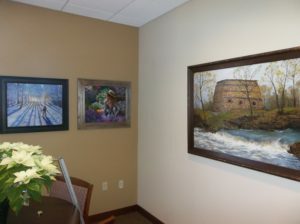 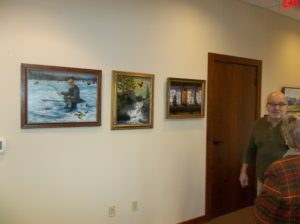 Securant Bank & Trust in Menomonee Falls has selected the Art Guild of Menomonee Falls to maintain a permanent display in their lobby and main offices. This is a wonderful opportunity to show your work in a beautiful commercial setting thanks to the generosity and support of Securant to promote local artists. 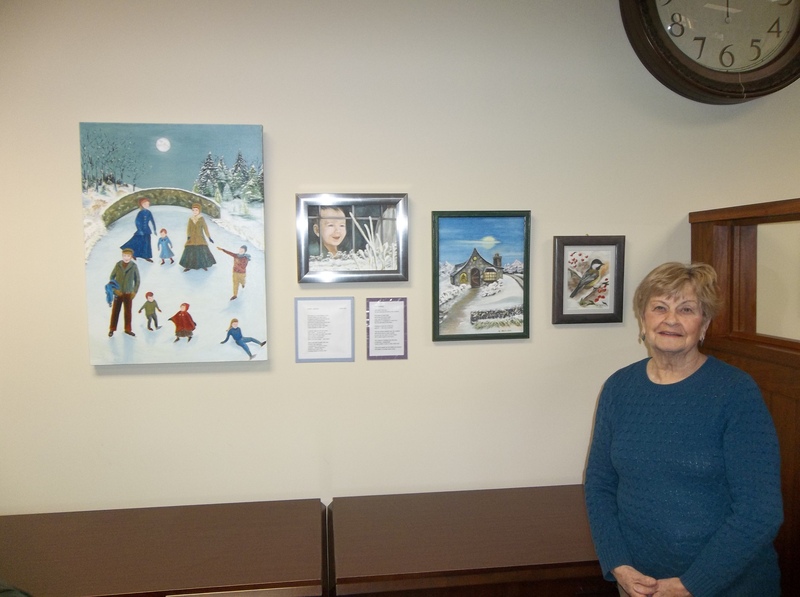 Guild members Mike Pogorzelski and Elaine Zale hung their artwork throughout the Securant building on January 27th, 2018. If you would like to participate in this rotating exhibit, please contact Mike Pogorzelski at 262-844-9569. Securant Bank & Trust is located at W178 N9358 Water Tower Place in Menomonee Falls and is open Monday through Friday, 9 a.m. to 4:30 p.m.